The launch of the next-gen Sonata will be earlier than expected. 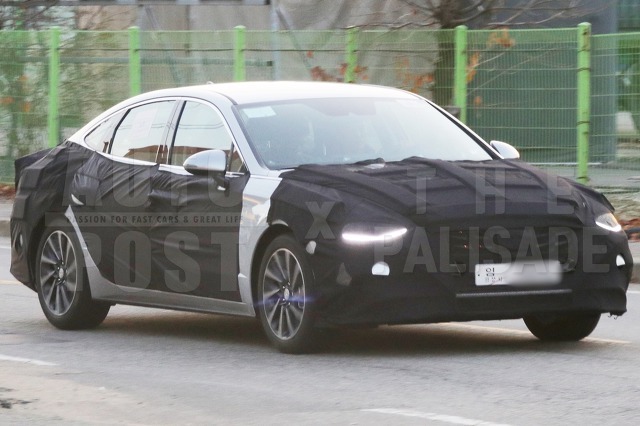 The new Hyundai Sonata, which is about to be launched at New York Auto Show on April, is the eighth generation and maintains its position as a medium-sized sedan from the South Korean carmaker and today we have the first pictures of the front bumper & two different grilles. 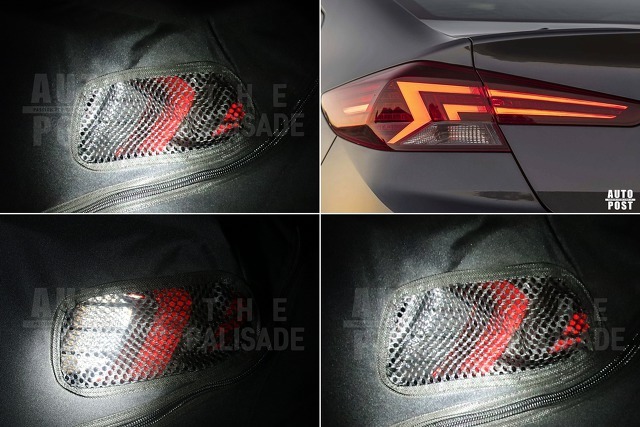 If you take a look to the pictures, the new Sonata will have headlight-mounted LED daytime running lights while the car were spotted wearing the final design rear taillights for the first time and is going to have a Z pattern like what we have seen on the recent Elantra facelift or even Cadenza. (We also have a very blurried picture where the rear tailights are connected with a red stripe, but we’re not sure to confirm if its Sonata or not). Comparison between Sonata taillight and Elantra.